SODC’s consultation is live. 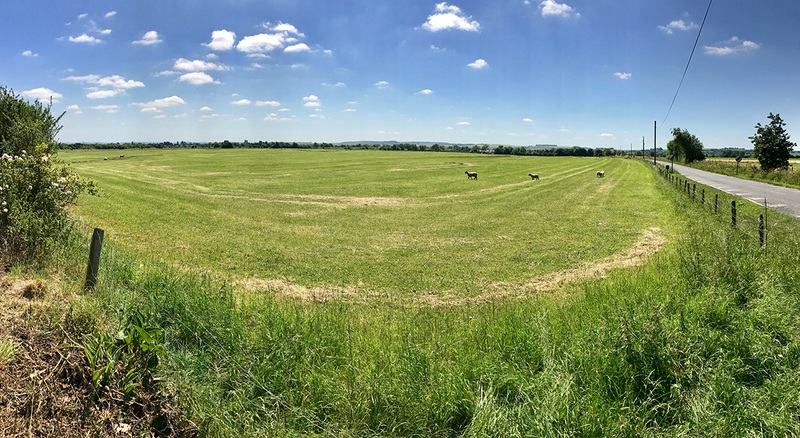 Despite the development’s potential impact on the south of Didcot and both East and West Hagbourne only a small number of residents on Lloyd Road have been notified about the consultation by SODC. However, anyone can take part so if you feel strongly about the development (either for it or against it) we’d encourage you engage. Whether you are for or against the development please note that the deadline for comments is Wednesday 12th July. If you plan to object to the proposals it is important to connect your concerns to conflicts with planning policy. Only 'Planning based' objections will be taken seriously by the Planning Officer who will either recommend approval or rejection of the proposal. Objections that do not reference planning policy conflicts may be ignored. (If you have already responded to the consultation there's nothing stopping you doing so again). A useful source of guidance is the pre-application advice SODC gave to Catesby. You're advised to have a read of the pre-application advice here (it's also on the SODC site). Most notably the council officer talks about the detrimental effect of the development on the attractive landscape setting of settlements. This is a conflict with policy C4. They also talk to the importance of protecting important local landscape features protection of countryside for its own sake. Policies G2 & G4 are relevant in this regard. Worried about this scheme not being appropriate for the area? Explain why! There is a fundamental policy reason for this - the site is “unplanned” and not allocated for development in SODC’s plan. Make sure you say that the application conflicts with SODC Policy CSS1. Worried that this development contradicts and undermines the Didcot Garden Town Delivery Plan? Quote from chapter 8 of the Delivery Plan document that is available here. Worried that it doesn’t deliver sufficient economic, social or environmental benefits? Explain why! This would make the development unsustainable. Make sure you say that the application conflicts with SODC Policy CS1. Worried about the impact on the landscape? Explain why! SODC has policies in place to protect the district’s countryside from adverse developments. Make sure you say the application conflicts with SODC Policy CSEN1 and G2 & G4 of the South Oxfordshire Local Plan. Worried about Traffic and Road Safety? Explain why! You might have concerns about the volume of traffic and road safety issues. You may think that too many new car trips will be generated because of a lack of other options or that the traffic calming measures they plan will urbanise the area. Make sure you say the application conflicts with SODC Policy CSM1, CSM2 and T1 of the South Oxfordshire Local Plan. Worried about the loss of historic ridge and furrow landform? Note how its loss would contravene policy CSEN3. Worried about urbanisation and the merging of Didcot and East Hagbourne? Explain why! This is also called coalescence. SODC has policies to protect distinctive settlement types and their character and not to damage the attractive landscape setting of the district. Make sure you say the application conflicts with Policy D1(vi) & C4 of the South Oxfordshire Local Plan. Worried about flooding? Please note that Catesby only has to avoid creating more ‘run off’ than at present. Make sure you quote NPPF paragraph 100. Worried about light pollution created by a development of so many houses? Explain why! Light pollution is orange glow around urban areas, glare, and the spilling of light beyond the boundary of properties. The effect is to create an impression of an urban area. Make sure you say the application conflicts with Policy EP3 of the South Oxfordshire Local Plan. Worried about the impact on East Hagbourne? Explain why! In the Plan, development in small villages is limited to small infill sites of up to 10 houses. Make sure you say the application conflicts with SODC Policy CSS1 and CSR1. Worried about pressure on schools and other local services? Explain why! Catesby will try to relieve the pressure by making what are called S106 and CIL payments. If you are concerned make sure you say the application conflicts with SODC Policy CSI1. SODC do not have enough new housing in the pipeline to meet its targets. In the most part this is due to large schemes such as Didcot North East and Ladygrove East stalling. In planning talk this is called a lack of 5 year supply. Developers see this as an opportunity and claim to varying degrees that it makes local plans invalid. Please rest assured that this is not the case. Local planning policy is relevant. A summary of SODC's Policies from Core Strategy 2012. This is an extract from the below document. South Oxfordshire Local Plan. This plan is superseded by the above, but some of its policies carry through and are still relevant. Didcot Garden Town Proposed Delivery Plan. The draft plan for Didcot's future. National Planning Policy Framework (NPPF). This guidance forms the basis for planning policy for local authorities.